If you are looking for a place to retire or even visit, then Smyrna is the place to be. The city has a total of 10 parks, which are perfect for hikes, picnics, and bird watching. In addition, the city has a public golf course and an outdoor water park. Fun for the entire family is in store when you visit Smyrna. While you are off enjoying your adventures, you do not have time to deal with tooth pain, but, should you experience any aggravating toothaches, there are many options available for dentists and specialists in Smyrna. The team at emergencydentistsusa.com has prepared a complete list of dentists and specialists in the Smyrna area. This list includes all types of dentists and specialists from family dentists to orthodontists and more. All you have to do is take a moment to browse through the list to determine which dentist is near you. If you are unable to look at the list, do not hesitate to call our toll-free dentist finder hotline. Our team members will help you identify a dentist near you and schedule your first appointment with them. We will also provide you with directions to the office. On the day of your appointment, you should arrive about 15 minutes prior to your appointment time, so that you have enough time to fill out new patient paperwork. You should bring your ID, insurance card, list of current medications and allergies, and copayment with you. If you are in pain and you need a dentist or dental specialist, you will find that there are many options available to you in Smyrna, TN. You will be able to locate orthodontists, pediatric dentists, cosmetic dentists, dental restoration professionals, and more. Typically, when you experience tooth pain, you will visit a general dentist first and he or she will diagnose and treat the condition for you, but if he or she is unable to, you will be referred to a specialist who can perform the needed procedure. Description: Smith Dental is here for you whenever you have a question or concern about your teeth or oral health. We specialize in both general dentistry and orthodontics to include traditional braces, Invisalign, fillings, emergency dental care, and more. Don’t hesitate and visit our office to get a healthy smile that will last a lifetime. Description: Creekview Dental wants you to be happy with your smile. We offer a number of care options to help you maintain a healthy smile. From exams and cleanings to cosmetic procedures and dental implants, Dr. Dudzinski is here to help. Our team focuses on preventative care, but should an issue arise, we will create a custom treatment plan for you. Description: Legacy Hill Dental wants to work with you to help you achieve a beautiful smile that you can be proud to show off. We serve the local area here in Smyrna and specialize in general and cosmetic dentistry. Our team is able to meet your needs, no matter the dental problem you may be experiencing. In addition to our general and cosmetic dental procedures, we also specialize in migraines caused by TMJ and sleep apnea. Tooth pain can be mild or it can be severe and it is important that you seek out the care you need, when you need it. If you have been experiencing dental pain for more than a couple of hours, you should call an emergency dentist. The pain you are experiencing can indicate that there is a serious problem. If you were involved in an accident and you now have tooth or jaw pain, you should visit the local ER or urgent care center to ensure you do not have any serious injuries. 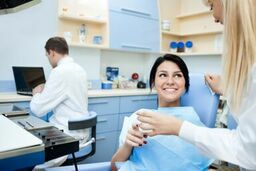 Before you visit any new dentist, you should take a moment or two to research the provider and make sure that they have the credentials and licenses needed to perform procedures on you. To do this, you should visit the Tennessee Dental Association website and perform a search of the dentist’s name. You can also inquire with the receptionist and ask to view the dentist’s licenses and credentials in the office.